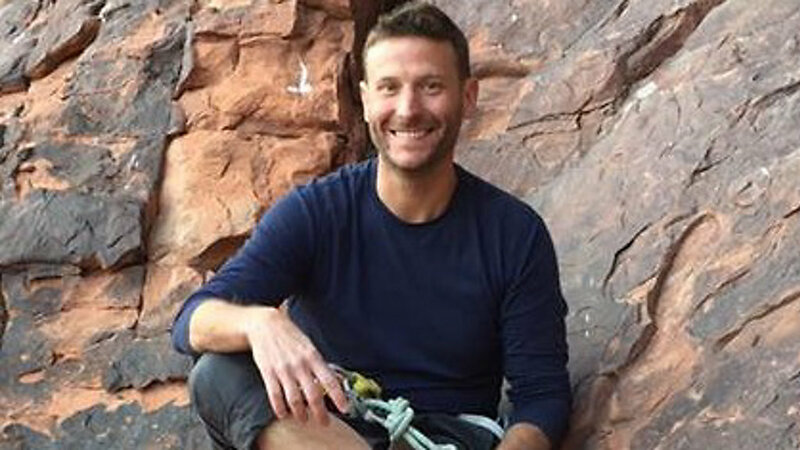 Former American President Bill Clinton has eulogized American CEO and Global Managing Director of I-DEV International, Jason Spindler, as a dedicated his life to expanding opportunity around the world. Jason who had a company located at Metta, located at the Dusit D2 Complex sadly passed away during the attack which happened from Tuesday afternoon. Jason’s family have confirmed that he was among the fire fighters during the 911 attack and survived it. 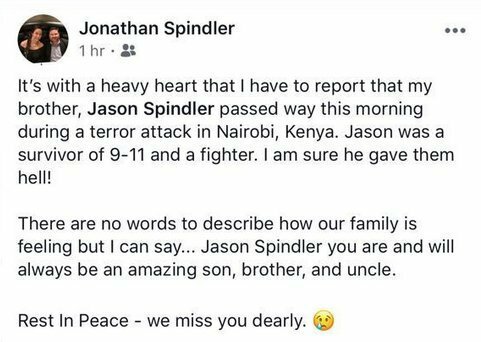 “I am sure he gave them (the terrorists) hell,” His brother Jonathan Spindler posted on Facebook. Nailab CEO Sam Gichuru eulogized Spindler as a strong player and supporter of the Kenyan Tech Ecosystem. “We pray for God’s grace & comfort for the family and team at I-Dev,” his post reads in part. Dusit D2 General Manager, Michael Metatax confirmed that four employees lost their lives during the attack and three more have been admitted in hospital. He says that the hotel is giving necessary support to those affected by the incident. So far 8 people have been arrested in connection to the incident and police are still asking for more information from the public, for anyone who has more information to forward it to the police. The 14 Riverside Complex and Dusit D2 hotel remains closed until further notice.